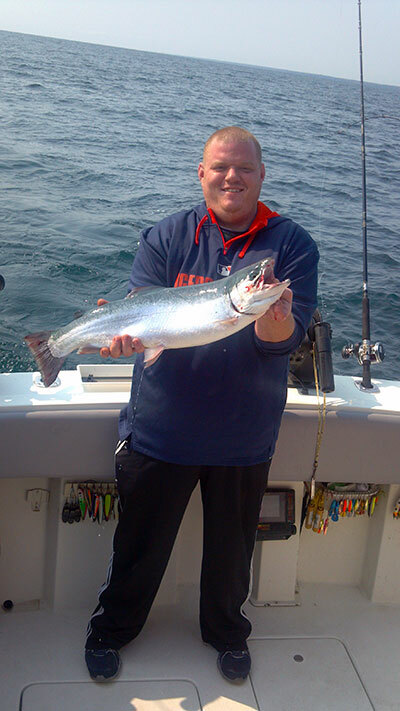 Those trolling at Harbor Beach caught a good number of lake trout along with the occasional Atlantic, Chinook, coho and steelhead in 90 to 150 feet. Lots of lake trout were caught with dodgers and flies in 85 feet off Grindstone City. Bass anglers did well close to shore.